Słownik pojęć - VIGO System S.A.
Infrared photodetectors are semiconductor electro-optical devices that convert infrared radiation into an electrical signal. Known also as Mercury Cadmium Telluride (MCT), HgCdTe, (Cd,Hg)Te or MerCadTel. It is a variable band gap alloy, commonly used for fabrication of photodetectors with tunable spectral response. InAs1-xSbx also known as Indium Arsenide Antimonide and InAsSb is another variable band gap alloy used for fabrication of photodetectors with tunable spectral response. Active area of a detector where the incident radiation is absorbed and sensed. The apparent optical area of the detector which is “seen”. It is equal to physical area of the detector active element unless an optical concentrator is used. The optical detector area can be significantly magnified in detectors supplied with optical concentrators, for eg. immersion lenses (see Optical immersion chapter). The optimum bias voltage is specified in the final test report and depends on the detector size, operating temperature and spectral response. Photovoltaic detectors (photodiodes) are semiconductor structures with one (PV) or multiple (PVM) , homo- or heterojunctions. Absorbed photons produce charge carriers that are collected at the contacts, resulting in external photocurrent. Photodiodes have complex current voltage characteristics. The devices can operate either at flicker-free zero bias or with reverse voltage. Reverse bias voltage is frequently applied to increase responsivity, differential resistance, reduce the shot noise, improve high frequency performance and increase the dynamic range. Unfortunately, at the expense of flicker noise (1/f) in most cases. Photovoltaic detectors are more vulnerable to electrostatic discharges than photoconductors. Photovoltaic detectors based on the photoelectromagnetic effect based on spatial separation of optically generated electrons and holes in the magnetic field. The devices do not require electrical bias and show no flicker noise (1/f). The PEM devices are typically used as fast, uncooled detectors of the long wavelength radiation. Square or rectangular formats are typically used for any IR detectors. Circular geometry is sometimes used for photodiodes. Electric properties of some photodetectors can be described by the small signal detector circuit which consists of photocurrent source Iph=Ri‧P, detector dynamic resistance Rsh, capacitance C, and series resistance Rs. Rs is the parasitic resistance of the devices that reduce available photocurrent. Unfortunately, the simple model cannot accurately describe properties of long wavelength photodiodes operating at near room temperatures. where Ri is the current responsivity. Current responsivity (A/W) is the ratio of photocurrent and power of radiation. The current responsivity is typically measured for monochromatic radiation (the spectral current responsivity) and blackbody radiation (the blackbody current responsivity). The responsivity typically remains constant for weak radiation and tends to decrease with more strong radiation. The current responsivity of unbiased PEM, PVM and biased (with constant electric field E) PC detectors is proportional to the reciprocal length. Therefore, the current responsivity Ri·Lis used to compare devices of various formats. Another normalized current responsivity, Ri·L/E, is used to compare responsivity of photoconductive devices of various format, and operating with different electric fields. The maximum voltage that can be applied to a photoconductor or photovoltaic detector without a risk of its damage. The current that flows in a photodetector in thermal equilibrium with its surrounding. Flicker noise or 1/f noise is a frequency dependent noise. 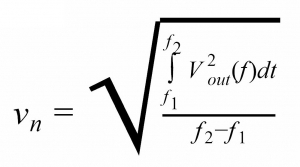 Its power is typically proportional to 1/f. Frequency, at which the low frequency noise equals to the white noise (e.g. the Johnson or shot noise) so the flicker noise dominates at f<fc. The signal-to-noise ratio (SNR) at a detector output, normalized to 1W radiant power, a 1cm2 detector optical area and a 1Hz bandwidth. D* is expressed in cm·Hz1/2/W units. λcuton is the shorter wavelength at which a detector responsivity reaches 10% of the peak value. λcutoff (50%) is the longer wavelength at which a detector responsivity reaches 50% of the peak value. λpeak is a wavelength of detector maximum responsivity. It is used to compare the resistances of rectangular photoconductive, PEM and PVM devices with different aspect ratios. It equals to the ratio of product of detector resistance and distance between contacts to detector width. Area-normalized dynamic resistance, Rd·A, of photodiodes that is used to compare photodiodes of different format, in which dynamic resistance decreases proportionally to the detector active area. The linearity range of detector operation is the radiation power range for which the sensitivity remains constant. It is limited by the drop in responsitivity (typically specified for 10% drop). The detector active element temperature. Angular field of view is the maximum cone angle at which incoming radiation can be captured by a detector. Radiation coming from a larger angle will not reach the detector. F/# is ratio of the focal length to diameter of entrance pupil. For lenses is the ratio of focal length to diameter of lens. Constant bias voltage and current readout are typically the optimum operation conditions for the best detectivity, speed of response, linearity and long term stability. Operation of thermoelectric coolers is based on Peltier effect. Two-, three- and four-stage thermoelectric coolers are available. TEC is biased with DC current supply. The parameters of the TEC depend on temperature of the hot side of cooler. It is typically specified for 300 K.
Supply current giving the highest temperature difference (ΔTmax) at the specified conditions stated in Final Test Report (supplied with each VIGO device). Supply current used in measured detector. Stated in Final Test Report (supplied with each VIGO device). TEC voltage drop at ΔTmax . Preamplifier is an electronic device that converts a weak electrical signal at the input into an output signal sufficient for further processing. 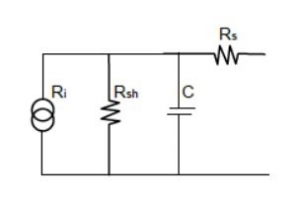 Transimpedance amplifier (briefly called TIA), converts the current signal to the voltage. The transimpedance amplifier presents a low impedance to the photodetector and isolates it from the output. TIA low input impedance provides stable biasing conditions for the detector which helps to achieve maximum linearity and bandwidth. The maximum and minimum voltages where preamplifier works in linear range. Point of zero potential. For standard preamplifiers is common power supply and signal ground. 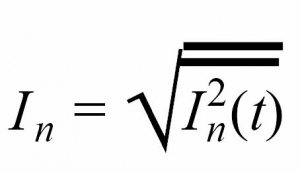 A minimum frequency at which a preamplifier gain reaches -3dB of the peak value or 0 for DC coupling devices. A maximum frequency at which a preamplifier gain reaches -3dB of the peak value. Noise voltage at preamplifier output. Noise voltage density measured at a given frequency. Output voltage to input current conversion factor (ratio). density of the voltage noise, given in V/sqrt(Hz), generated by the equivalent voltage noise source connected in series with the preamplifier input. 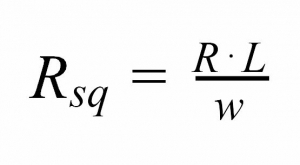 density of the current noise, given in A/sqrt(Hz), generated b y the equivalent current source connected in parallel with the preamplifier input. Detection module integrates detector, preamplifier, thermoelectric cooler, and other components (e.g. detector biasing circuit, heat dissipation system, optics) in a common package. The operation of detection modules can be described in similar way as for detectors, by specifying their spectral and frequency characteristics of responsivity and detectivity. Dependence of voltage responsivity on frequency. The maximum and minimum voltages where detection module works in linear range. A minimum frequency at which a AC coupled module responsivity reaches -3dB of the peak value or 0 Hz for DC coupling devices. 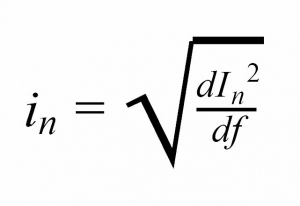 A maximum frequency at which a module responsivity reaches -3dB of the peak value. Noise voltage at detection module output. Frequency at which output voltage noise density is measured selectively. Equivalent impedance exhibited by its output terminals. The expected resistance of the device connected to the detection module’s output. The parameters provided in the detection module test sheet are valid if the load resistance equals RL. Usually RL=1MOhm, for modules operating below 20 MHz, and 50 Ohm for devices operating over 20 MHz. Constant DC component of the output voltage, present both with and without IR radiation. Supply voltage required for correct module operation. ±20% tolerance is allowed. Supply current consumption during correct detection module operation. Polarity of the power supply related to the ground. Swapping supply connectors may lead to module damage. Temperature sensor pins – might be connected with any polarity. Supply polarity for the TEC. Those pins are floating, which means they are not connected to the GND. Maximum current that is provided by the controller . Unwanted residual periodic variation of the DC (direct current) output of a power supply (or other device) which has been derived from an AC (alternating current) source. This ripple is due to incomplete suppression of the rectified DC waveform within the power supply. Maximum current that can be delivered by power supply to the preamplifier, usually +/− 100mA . Material parameter – resistance of the supply cable. It depends on cable length. The time taken by the cooling system to reach appropriate temperature of the detector. Maximum voltage for thermoelectric cooler supplying.